Neck Profile: 58 Rounded "C"
In an effort to reanimate the steadily declining sales of the Les Paul Model, Gibson abandoned the primary gold finish and used a translucent, lacquer finish which showed off the (sometimes lightly figured) maple top. 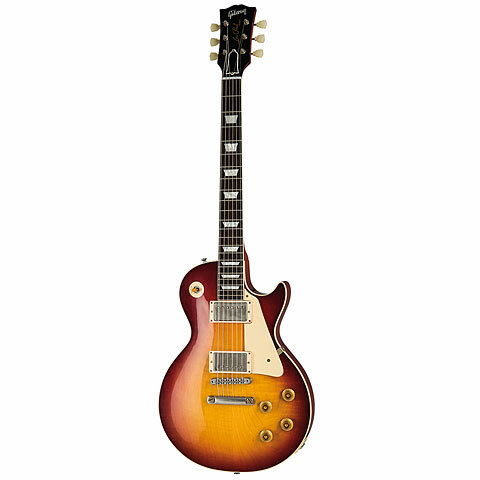 The Les Paul Sunburst made its debut in the middle of 1958. 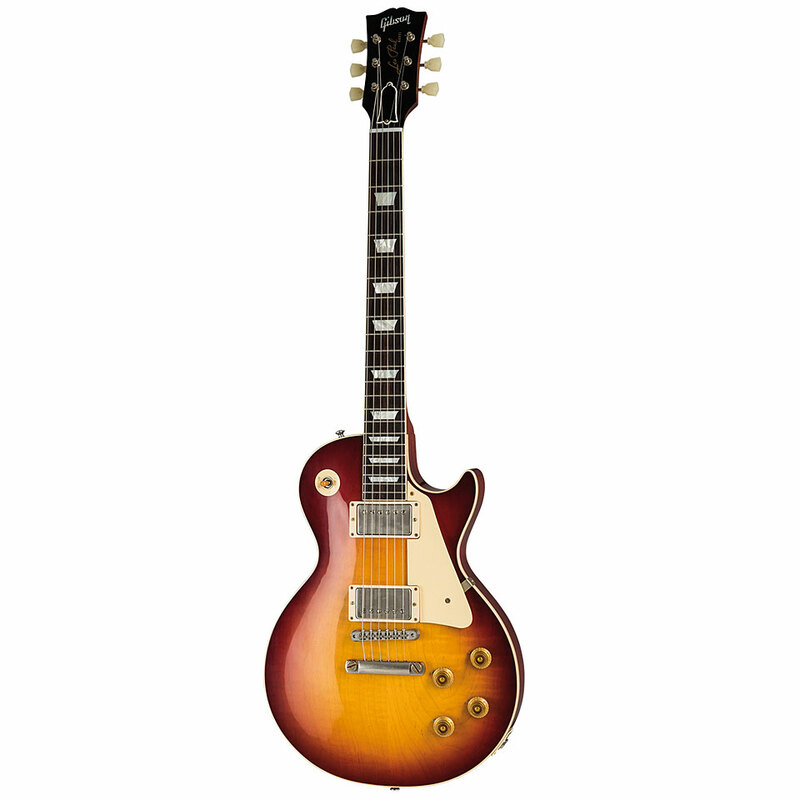 The Gibson VOS 58 Les Paul Reissue offers you this guitar made to the Vintage Original Spec. VOS stands for “Vintage Original Spec”. The finishing process on VOS models has been customised to reflect the way Gibson finished Les Paul guitars back in the '50s. They receive a thinner nitro-cellulose lacquer finish which is applied, sanded, and buffed by hand; in other words, more care is put into the finishing process. This extra care is intended to make VOS guitars look like gently aged and well-cared-for vintage guitars. It also helps the guitars 'breathe' better and therefore to resonate and sustain more freely, making them much better instruments.